This scene was sketched by Bishop Selwyn in his letter book. 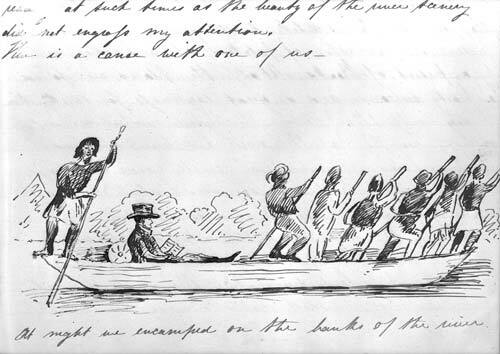 It shows him travelling up the Manawatū River in November 1843. Intrepid Pākehā explorers commonly depended on the guidance, and often the muscle power, of Māori.